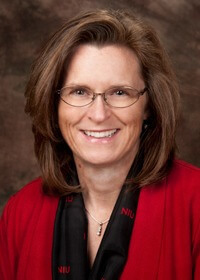 Northern Illinois University President Doug Baker announced that following a search for a new executive vice president and provost, Lisa Freeman has been appointed to the position effective immediately. 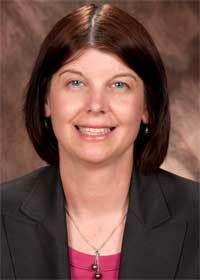 Lesley Rigg will serve as vice president for research and innovation partnerships. Freeman has served as NIU’s interim executive vice president and provost since October, 2013. She agreed to continue on as NIU’s chief academic officer after a national search failed to result in a hire when the lead candidates accepted competing offers. Freeman will serve in that role for at least three more years. Freeman has focused her academic career on bringing people and resources together to solve complex problems. She joined NIU in 2010 as the vice president for Research and Graduate Studies, and a professor of biology. Freeman currently serves on the Illinois Innovation Council and the Fermi Research Alliance, as well as the boards of the Chicago Council on Science and Technology and the Illinois Manufacturing Extension Partnership. Previously, Freeman spent 16 years at Kansas State University (K-State), advancing from assistant professor to professor and achieving an administrative appointment as associate vice president for innovation for the K-State Olathe Innovation Campus. At K-State, Freeman taught veterinary students, was an externally funded principal investigator and a mentor for numerous undergraduate and graduate students, postdoctoral trainees and early career faculty members. Freeman has also participated in a number of STEM workforce development initiatives at NIU and Kansas State. Freeman has written more than 50 peer-reviewed publications, invited reviews and book chapters. She has been invited to present research findings and to discuss effective strategies for engaging trainees in STEM research at national and international conferences. Freeman earned a bachelor’s degree in 1981 in addition to a master’s degree and a doctor of veterinary medicine in 1986 from Cornell University. She went on to earn a doctoral degree in pharmacology at The Ohio State University in 1989. From 1989 to 1994, Freeman worked as a postdoctoral fellow and research scientist at the University of Rochester School of Medicine. In 2004-05, Freeman was a Fellow of the American Council on Education hosted by the University at Buffalo. “It is an honor to accept the position of executive vice president and provost. I am enthusiastic about the opportunity to continue working with President Baker, Vice President Rigg and the members of NIU’s academic leadership to facilitate the success of our students, faculty and staff,” Freeman said. Rigg has agreed to serve as NIU’s chief research officer for at least three years, and the university will continue to explore strategic partnerships, targeting collaborations that are aligned with the university’s research mission. Both Freeman and Rigg will undergo review during their third year of service. Rigg earned a bachelor’s degree in 1992 from York University in Canada and a master’s in geography from the University of Colorado, Boulder, in 1994, going on to earn a Ph.D. from the University of Melbourne in 1999. A professor in the NIU Department of Geography since 1998 and most recently the associate dean for research and graduate affairs in the College of Liberal Arts and Sciences, Rigg has conducted interdisciplinary research with a robust foundation in both physical and human geography. As a geography professor, she received funding from the National Geographic Society, American Association for the Advancement of Science and the National Science Foundation to support her forest ecology research. She currently serves as an associate editor for the international journal, Plant Ecology, and previously served as president of the Biogeography Specialty Group of the Association of American Geographers. Rigg is dedicated to student mentorship and graduate student excellence in research through active engagement in field-based research and is committed to promoting faculty productivity through the development of college level structures and support. She was a co-PI on a Catalyst grant from the ADVANCE Program at the National Science Foundation, assessing the NIU campus climate in the STEM fields and a co-author and part of the management team on a NSF Research Experience for Undergraduates (ETank) at NIU. She won an excellence in teaching award in 2009 and the annual Presidential Commission’s award for enhancing the climate on campus for women that same year. “Research helps define the NIU experience and provides the opportunity for students to conduct academic research alongside talented faculty, which attracts undergraduate and graduate students alike,” Rigg said. The NIU Division of Research and Innovation Partnerships promotes faculty, staff and student success by facilitating and celebrating innovative research, scholarship and creative activities. The division strives to expand research and economic development, integrate research with instruction and public service and foster cross-disciplinary collaboration. The appointments will be presented to the NIU Board of Trustees at its June 19 regular business meeting. JUNE 19 UPDATE: The NIU Board of Trustees unanimously approved the appointments of both Freeman and Rigg to their respective positions.